Laboratories in the chemical industry need balances that are not only fast and accurate but also easy to keep clean. 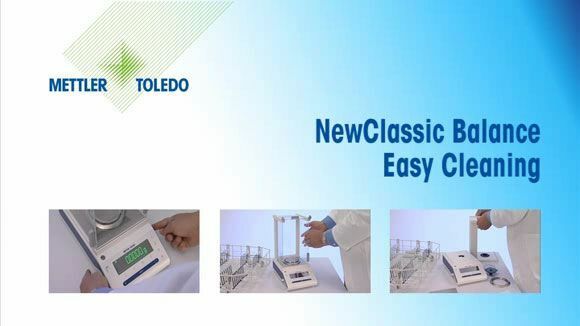 NewClassic MS balances are ideal for handling chemicals of all kinds. They have been designed specifically with cleaning in mind, including unique features that make cleaning easier, faster and more effective. The draft shield dismantles in a few seconds, entirely without tools and the glass panels are all dishwasher-proof. The drip tray simply lifts out, avoiding spills into the weighing cell. The robust metal housing is resistant to most chemicals, including acetone. The protective cover, supplied as standard, shields against stains and scratches. The result: chemical balances that keep working fast and effectively while maintaining a professional appearance under industrial laboratory conditions. Read our checklist and get the tips and tricks on optimizing Workplaces and Workflows.